Standardised tobacco packaging: will banning branding cut down smoking? 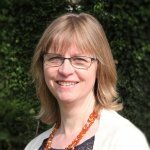 Cochrane UK’s Sarah Chapman looks at what new Cochrane evidence, published today, can tell us about the health impacts of standardised tobacco packaging (or ‘plain’ packaging), ahead of its full enforcement in the UK next month. If BJ Cunningham, founder of the Enlightened Tobacco Company, is right about this, legislation on standardised packaging for tobacco products, which comes into full effect in the UK on May 20th, should deal a significant blow to the tobacco industry and help cut the number of smokers. But what do we know about what happens if tobacco brands can’t use unique packaging to sell their ideas and promises? Is image, if not everything, powerful enough to change smoking behaviour if you take it away? A Cochrane review published today looks at the evidence behind ‘plain’ packaging. What is standardised tobacco packaging? Standardised (or ‘plain’) packaging, as recommended by the World Health Organisation Framework Convention on Tobacco Control, restricts the appearance of tobacco packs with the aim of reducing their appeal. The packs must be uniform in colour, in the appearance of the brand name and, in some cases, shape. They have no logos or branding. 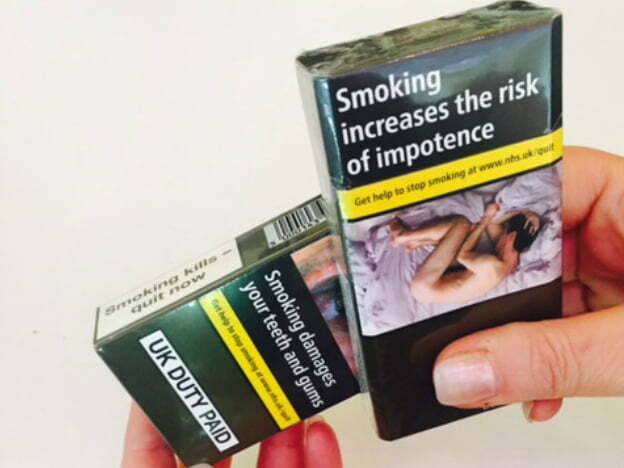 In the UK, health warnings are also being enhanced with the introduction of standardised packaging and must cover at least 65% of the packaging. Australia was the first country to implement standardised tobacco packaging, their legislation taking full effect in December 2012. France implemented standardised packaging by January 2017. Standardised packs started to be introduced in the UK from May 2016 and from May 20th all tobacco on sale in the UK must comply with the legislation. Tobacco packaging is the main source of advertising in countries, like the UK, where other forms of tobacco advertising are prohibited. With most smokers starting before the age of 24, and the majority by age 18, new young smokers are the main target of industry marketing, and building brand awareness amongst young people through packaging has been a key part of the strategy (ASH, 2015). Standardised packaging may make tobacco products less appealing, improve the impact of health warnings and reduce uptake of smoking. There is evidence from one large observational study carried out in Australia, assessing smoking prevalence in 700,000 people, that tobacco use may have decreased after the introduction of standardised packaging. Confidence in this finding is limited due to the recency of the introduction of standardised packaging, the difficulty of evaluating population level policies (where countries cannot be randomised to policies) and the difficulty in isolating the effects of a policy when introduced alongside other changes to the pack such as enhanced health warnings, but a reduction in smoking behaviour is supported by data collected routinely by the Australian government. Australia was the only country to have implemented standardised packaging at the time of the review. There was no evidence suggesting that standardised tobacco packaging may increase smoking. Data from a range of other studies to indicate that standardised packaging reduces the appeal may help explain the observed decline in smoking prevalence. No studies directly measured whether plain packs influence starting or stopping smoking. An insider in the tobacco industry told the Observer that companies are finding loopholes in the legislation, such as adding promotional price stickers to cellophane wrappers, or using special finishes on the packs to make them feel more appealing. Might standardised packaging be less plain than intended, and packs still come with promises? According to the whistleblower, “nobody really expects it to work”. That sounds like an intervention with promise.